Laura was appointed as a Senior Research Fellow in 2012, and became a Principal Research Fellow in 2018. By background, Laura is a sociologist and a health services researcher. She undertook her doctoral research at the University of Leeds and was awarded her PhD (Sociology) in 2010. Laura’s skills are mainly around qualitative methodology and analysis, process evaluations and trial management. Laura is currently study manager for several research projects about patient safety, patient experience and positive deviance. Laura’s most discussed and talked about paper was published in February 2017 in Social Science & Medicine (available here). It currently has an Altmetric score of over 180. The paper proposes a conceptual framework to understand why ward staff struggle to make improvements based on patient feedback. Laura is the author of over 35 peer reviewed publications and co-applicant on four NIHR grant applications totalling £2.8m of research income. 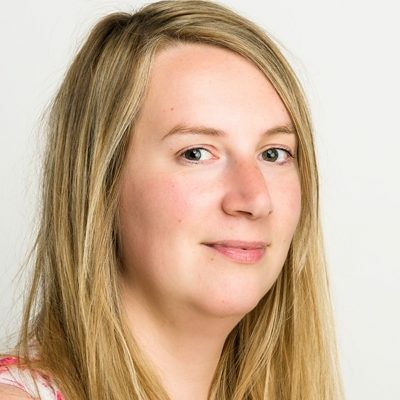 Laura is a panel member of the Yorkshire and North East Research for Patient Benefit Advisory Board and an Associate Editor for the journal Trials. Laura spent the first six years of her career conducting research for the NHS, with injecting drug users and prisoners. This entailed both in depth qualitative research and several randomised controlled trials comparing opiate detoxification agents. For three years she worked on two qualitative health research projects at the University of York. Applied health services research, medical sociology, innovative qualitative analysis, conceptual framework generation, patient experience, patient safety, implementation science, improvement science. Sheard L, Marsh C, O’Hara J, Armitage G, Wright J, Lawton R. (2017). Exploring how ward staff engage with the implementation of a patient safety intervention: a UK-based qualitative process evaluation. BMJ Open 7(7):e014558. Scantlebury A, Watt I, Sheard L, Wright J, Adamson J. (2017). Implementing electronic records in NHS secondary care organisations in England. British Medical Bulletin. 1/9. Scantlebury A, Sheard L, Watt I, Cairns P, Wright J, Adamson J. (2017) Exploring the implementation of an electronic record into a maternity unit: a qualitative study using Normalisation Process Theory. BMC Med Inform Decis Mak. 17(1):4. [Edited book]. Wright N, Gerada C & Sheard L. (eds) (2013) RCGP Guide to the Management of Substance Misuse in Primary Care. London, RCGP.